Lately I’ve been listening to the music of singer/songwriter BØRNS, whose second album Blue Madonna came out on January 12th this year. One night, when I listened to samples of the featured songs via iTunes, I became euphoric—enlightened even—not only charmed by his surprisingly unique falsetto but also by the harmony of instruments, lyrics, and mood in every one of his songs. Right then and there I bought both his albums, Dopamine (2015) and Blue Madonna, and now they’re all I listen to these days. I couldn’t believe I’d never heard of him before. I felt guilty for having lived most of my adult life without knowing he or his music existed. However, that wasn’t the exact truth. I did know something about him before that night. On the same day, merely hours before I heard his music, I saw his name in an email I received from Adobe Creative Cloud (because I’m a subscriber). The email contained a short description and link about a contest Adobe was sponsoring, featuring BØRNS as a collaborator. The email was an invitation to participate in an art/design contest. The prize is having your artwork (created using Adobe CC programs) become part of BØRNS’s music video for “We Don’t Care,” which is Track 4 on his new album. 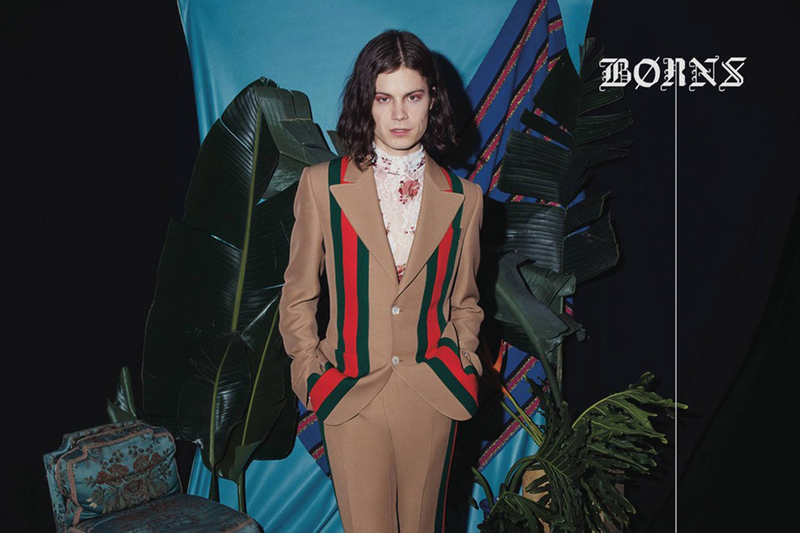 The top 30 winners will have their art featured in the video, and the top five grand prize winners will have that and a chance to fly to Los Angeles and meet BØRNS in person. How strange a coincidence to have received that email in the morning, only for me to become a super-mega BØRNS fan by nightfall. I took it as a sign, as the universe telling me to enter the contest no matter what. The deadline is February 6th, and though I’ve drafted a concept for the kind of art I want to create, I’ve yet to put something together. Excitement gives way to anxiety … and now I’m caught in between obeying the laws of the universe and criticizing my abilities to create something worthwhile in Photoshop, Illustrator, or any other Adobe program. With one week and five days remaining, I’m holding on to a sliver of faith in my own artistic capabilities. I started to learn and use Photoshop only a year ago, and though I haven’t mastered every technique and tool available, it’s the one Adobe program I’m most familiar with besides Premier Pro. Some days I sit and nervously imagine the thousands of BØRNS fans whose digital art will be twenty times better than what I could ever make. I just caught a glimpse of the submissions gallery posted on the contest website, and now I’m even more nervous. But I’m not the kind of person who ignores fate when he sees it. If I don’t try and enter something, I’ll always wonder, “What if?” and limit myself to an unfulfilling life from then on. If I do try, the chance to be a winner is still on the table. In the face of potential rejection, I have to create anyway. For information on Adobe’s Make It Yours contest, follow the link for details.